There is no shortage of social media sites out there to be a part of. Every day it seems like there are new ones being created and as a consumer, it can be challenging to keep everything straight. But still Twitter is an integral part, and one should know using Twitter for benefit in Business. As a business, your aim is to engage the widest array of audiences, and seeing that most of the world does much of their communication and commerce online, it’s only natural that you as a business seek to use the platform to its full advantage. As a business, you have to prioritize the places where you’re going to funnel your marketing efforts. People would say that you have to be on all of the social media platforms to engage as many people as possible. But unless you’re a large business with a staff large enough to accommodate each facet of social media, this isn’t a realistic goal, nor is it one that will be worth your efforts. Choose to focus on one at a time. For starters, Twitter is a great place to begin. Here are ten ways of using Twitter for benefit in Business. 1. Create an Account- Of course, to use a social media platform; you’re going to have to create an account. Creating an account is super easy, just make sure to write down your password and username so that you don’t waste time trying to remember your information every time you want to log in. Once you’ve done that, you can move onto the next step. 2. Create Content and Link Accounts- The amazing thing about technology and social media accounts is the fact that you can link all of your accounts. You want to aim to make your company personal so that people feel a connection to you. If you’re a loan company, create an account, follow a bunch of different people, and create content that shows the world who you are, who your people are, why you do what you do, and how you seek to change the world. If you make things personal, people will want to connect with you and conduct business through your accounts. 3. Tweet Often- As far as Twitter goes, the more noise you make on the platform, the better off things will be for you. You can’t expect to make any headway with clientele if you’re sending out one tweet every once in a blue moon. If you want to take advantage of Twitter as a business, find somebody to run this aspect of your business and make it a priority to tweet often. Preferably at least three times a day, as different people see different posts according to the time of day that they’re able to get on the platform to check things out. Although there is no rule like these many times you should tweet and it depends on the kind of business you do. But you should maintain consistency. 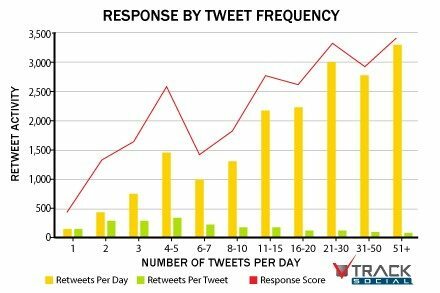 Here is a report saying the engagement vs. a number of tweets per day. 4. Follow the Influencers- You should also follow the influencers in your area to get updated on the latest buzz. Also, follow those to learn the strategies and implement those for your business. For example, if you are running a business in IT field then, you can follow the influencers from IT field and follow what they do to attract the clients. You can also implement the similar strategies. 5. Track Mention- Usually, people don’t track the mention on Twitter much. But if you are using Twitter for benefit in business, you should do. You don’t know when someone will suggest you for some business related queries. Also, try to reply those as much as you can. If someone is just sharing your status or link, just reply saying thanks. This is a good business ethics and seen on the point of gratitude. 6. Retweet- Don’t be afraid to retweet as this will help you to connect with real people. Also, a sometimes person may retweet your tweets also which can be helpful in your business. 7. 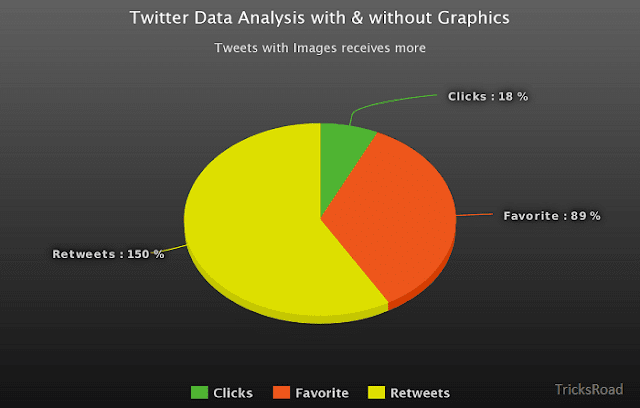 Follow trends/hashtags- To get more reach on the Twitter, you need to follow the current trend and hashtags following. You can find the trending items in the sidebar. 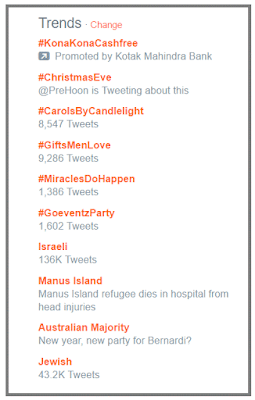 These trends change as per the location, and so you should target the trends and hashtags for the country you are targeting. 8. Use images and videos- Visuals are a great way to reach and engage mass. The same applies to social media also. Use GIF images/standard pictures/videos to get more engagements and reach. 9. Don’t be afraid to ask- Don’t be afraid to ask your followers to retweet your tweets. There is nothing wrong in it, and even big companies are doing this. You’re just making an appeal. 10. Optimize Tweet’s Bio- Make your Twitter bio meaningful, interesting and unique. This will help you to get more followers and engagement. Write what you are and what you do in a nice way. 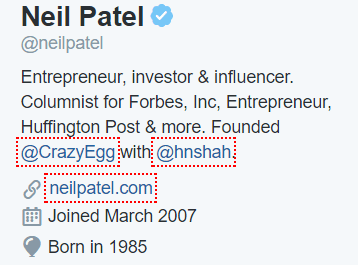 A good example can be found at Neil Patel’s Bio. 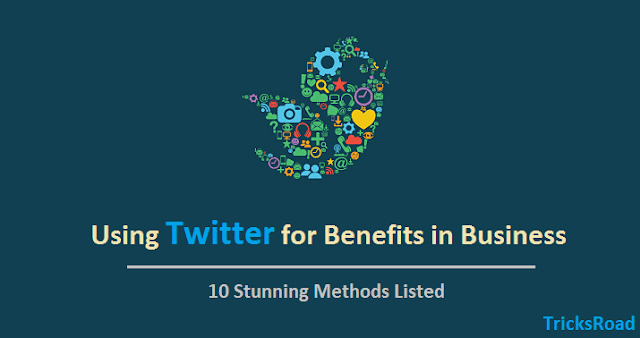 These were some of the great ways of using Twitter for benefit in business. Do try these and I am sure you’ll see some good charm coming to your business.